I have a nice pool. Its a remnant from a more civilized age when I have a great job. My wife and I bought a house with a pool in 2000 then totally renovated the pool and surrounding hardscape in 2006. 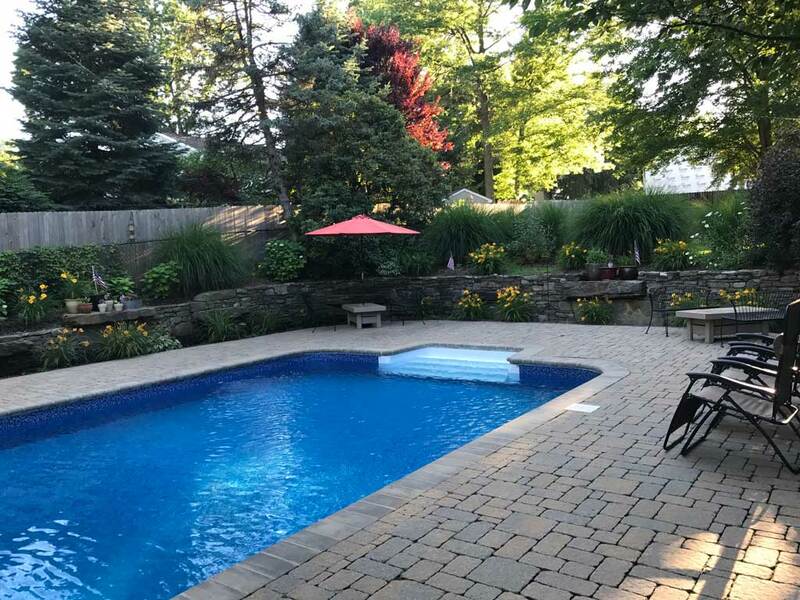 Big home equity loans were all the rage back then so we didn’t even flinch when the contractors told us how much it would cost to put in dry stone stacked retaining walls, paver patio, new steel pool walls and a new pool liner. We were like, “Where do we sign?” Now in 2017, times are tough. No more contractors or pool guys coming over to our house anymore. If I want some work done on the house its DIY or nothing. And to save about 4-5 hundred dollars every fall, you’ll fine me closing the pool myself. If you can take care of the pool chemicals all summer, then you can close a pool. It’s really not too hard. Every week when the pool is open I would use a pool water testing kit and check my levels. Nothing too fancy, just PH, Alkalinity and Chlorine. The chlorine is always good because I shock it once a week. The PH and Alkalinity are usually good too unless there’s a biblical amount of rain during the week. Then it’s pretty easy to adjust it back into balance. If the PH is low, you buy PH Up at the pool store and raise it up. If its high, then you buy PH Down and lower it. Works the same with Alkalinity. Just always adjust the Alkalinity before you mess with the PH. Okay so there’s a couple of rules to follow but after a few years of doing this you get the hang of it. Plus vacuum the pool at least once a week and use clarifier every week or two. My pool have been crystal clear for years by doing this. For closing the pool, they sell pool closing kits at places like Leslies Pools. If you kept your pool balanced like I described above then all you have to do is follow the instructions in the kit and you’re good to go. It’s usually something like add this bottle of PHOSfree and let the pool run for a week and vacuum it really good. Then add a bottle of Metal Free and let it run a few hours. Then you can shock the pool, algaecide it, lower the water level below the skimmers, blow out the lines and put the cover on. Hey that actually sounds like a lot of work. Well here’s a video of me closing the pool (well at least doing the interesting parts). Closing the pool is a lot of steps, it’s time consuming but it’s really not hard.